Rediscover your skin’s youthful capacity. 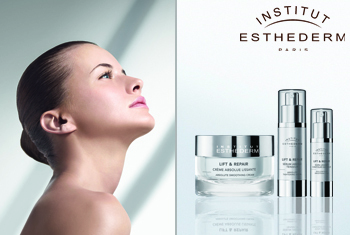 Experience the Institut Esthederm Anti-Ageing range, skincare that works with age and not against it. Institut Esthederm’s unique approach is based on the conviction that ageing is not inevitable, and as such all products are produced to maintain the skin at its optimal state as it evolves. Formulated with active ingredients that are tested and selected for their compatibility with skin, the Anti-Ageing range takes into account the different stages of your life and works to meet your skin's energy and biological needs.